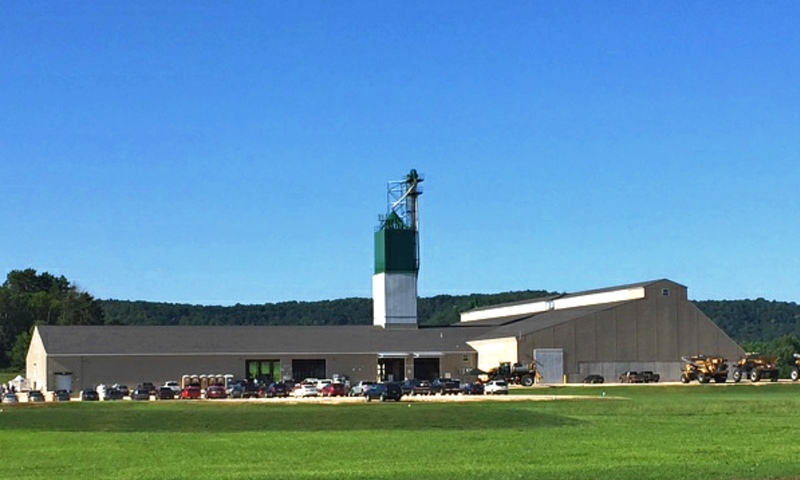 Countryside Coop needed a new plant on the banks of the Chippewa River in Durand, WI. They chose Sackett-Waconia to provide the receiving and blending equipment. “We were happy with the towers at other locations. In the past Sackett-Waconia has been very reliable and permitted very few challenges”, said Mike Christianson, the Agronomy Division Supervisor for Countryside Coop. He explained why they decided to go with Sackett-Waconia. This isn’t the Coop’s first facility featuring Sackett-Waconia. 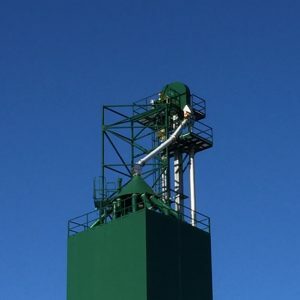 Every one of their locations has Sackett-Waconia receiving or blending equipment installed. “And it’s local,” he added. Countryside Coop’s has a 12-16 week period every year that they run their equipment hot and heavy, they needed top-notch quality to limit down time. According to Mike Christianson, they do “95% of business April through July. Unfortunately the equipment mostly sits the rest of the year.” The Coop needed conveyors and blenders that could sit for a while with little maintenance, and fire up when it’s needed. Once Wachtler Construction finished the install, Our Field Service Team helped with start up. “Gary’s a good guy to work with,” said Joe Bauer the Durand Location Manager for Countryside Coop. Gary Stender and Ed Laumann are the Field Service Team for WMI. “The Sackett-Waconia crew is quick to respond,” Mike Christianson added. On March 10th, 2016 the receiving equipment roared to life. It was a smooth startup and waiting for a truck of urea to show up remained the only delay. 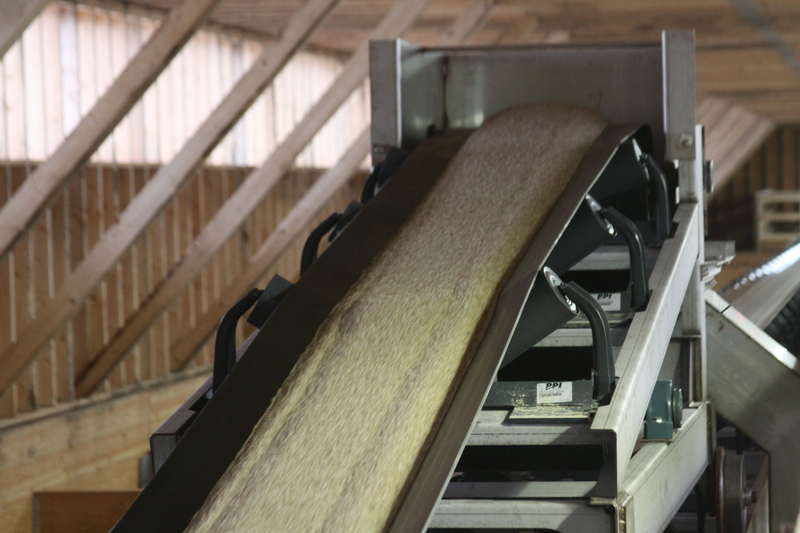 After a few small adjustments to the tripper conveyor and the receiving leg, product ran through the plant smoothly. In fact, all equipment was delivered by December 31st, a full two weeks before scheduled. Sackett-Waconia’s superiority in engineering, and project management ensured a smooth timeline. “We tried some off brand equipment at one time but it didn’t work,” said Joe Bauer. He added that over all, they’ve been “very happy” with the Sackett-Waconia equipment. 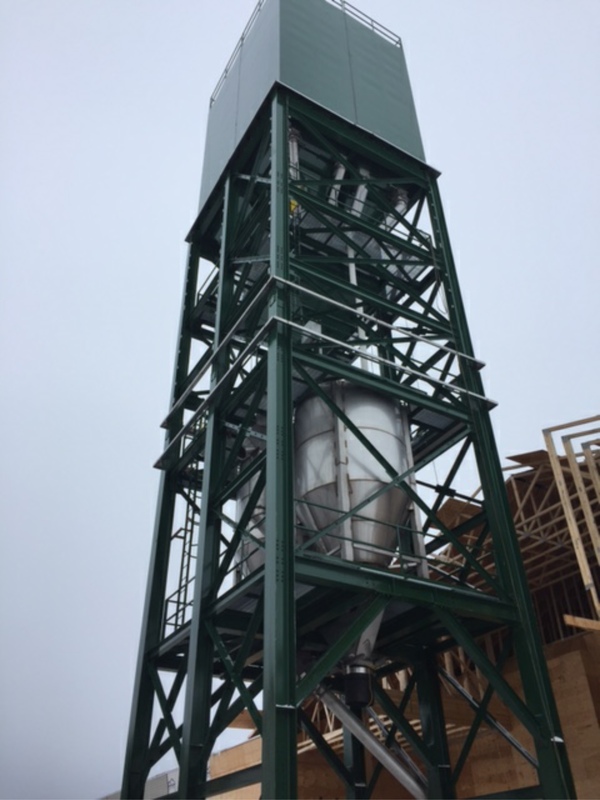 Countryside Coop has so much confidence in Sackett-Waconia they ordered equipment for their new Osseo, WI facility before the Durand facility was completed. The Osseo facility will be operational for the 2017 spring season.